While many of us look forward to summer, and the promise of endless sunny days, there is a downside to the warmer seasons in Australia. Severe hailstorms can occur, particularly in the period from October to April, causing significant damage to property and treacherous driving conditions. In the aftermath of a severe hailstorm many vehicles are written off by insurance companies as the cost to repair bodywork is more than the value of the car. Damages can run into the millions and even billions of dollars. 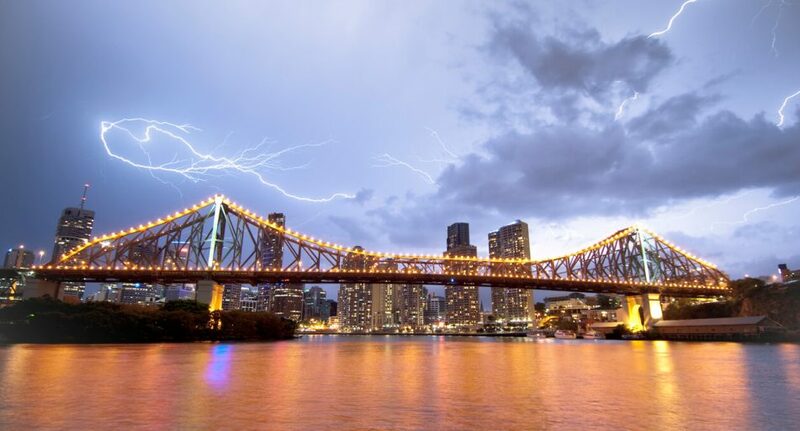 The costliest storm to hit a populated city in Australia was the Sydney hailstorm of 1999 which caused $1.5 billion (equivalent to $3.3 billion today) worth of damage, in addition to a fatality, and several injuries. An estimated 500,000 tonnes of hailstones, some measuring up to 9.5cm, rained down on 20,000 properties and 40,000 vehicles. So how do you know if a hailstorm is coming? Keep a close eye on reliable weather websites such as www.bom.gov.au, and take advantage of hail alert services and apps available for mobile devices. For example, Hail Hero is a handy SMS alert system which has won multiple awards* for insurance provider Budget Direct. It sends an SMS alert to motor insurance customers approximately 10 minutes ahead of damaging hail in their vicinity (based on the postcode of their residential address), hopefully allowing them time to move their vehicle undercover if it’s safe to do so. Since launching the Hail Hero system in 2012 Budget Direct has sent 1.7 million text alerts, and feedback from customers indicates many have been able to act on the warnings to avoid damage to their vehicles (see breakout box). Wow. Thanks for the alert. Great service. Thanks! 😉 It just started! Thankyou. Just put the car in! More recently Budget Direct, in partnership with Oscilmet, has developed a free mobile app which sends alerts ahead of damaging hail storms and bushfires for multiple locations. The Smart Alert app can track hazards at four different locations nominated by the policy holder within Australia as well as the location of the policy holder – wherever they might be, at any time. The Smart Alert app is free to all Budget Direct policy holders to use with a Smartphone or Android phone. To see how it works, watch the below video. So what do you do if hail strikes and you’re on the road? While it might be tempting to try and outrun a storm, anyone who has been caught driving in a hailstorm would recommend otherwise. Hailstones smashing through your windscreen, and the deafening sound of panels being pummelled, make driving extremely dangerous. Park your car undercover in a garage – if you aren’t at home, look for a sheltered car park. If you don’t have a garage – ask your neighbours or friends if you can park in their carport. Don’t park under a tree – falling branches can cause significant damage. Lie down, facing away from the windows, and try to cover yourself to protect against glass fragments and debris. If you can’t pull over, slow down and put your lights on. Never drive through flood water. * Hail Hero was recognised in the Australian Business Awards Product Innovation category in 2012, and the 2012 Australian Insurance Industry Awards.